The team have intensify preparation for the huge task with all the invited players such as Mikel Obi, Carl Ikeme, ogenyi Onazi, William Paul Ekong, Kelechi Iheanacho, Alex Iwobi, Ahmed Musa, Kenneth Omeruo and a few to mention, already in camp. With the exemption of Leon Balogun and Isaac Success who have be left out of the team due to injuries, there are no other injury worries to the players as they prepare to face Nigeria Professional Football League side, Plateau United today. “The team have been concentrating on the challenge at hand against the Chipolopolo of Zambia on Sunday. 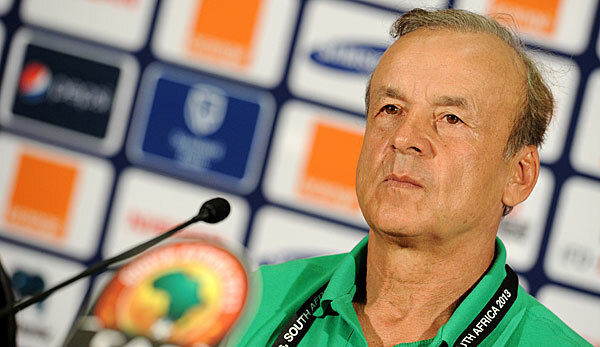 The Super Eagles technical adviser, Genort Rohr said he’s expecting a difficult match against Zambia but has charged the players to go all out for the three points. Meanwhile, Soccer fans wishing to buy tickets for the Zambia versus Nigeria should take note that sales will only be done in all Shoprite stores and Post Offices in Lusaka, Kabwe and Copperbelt. Under the new system there will be no ticket sales at the stadium, a move that marks a departure from a corrupt ridden black market where officials used to hoard tickets for re-sale on the black market at exorbitant prices.